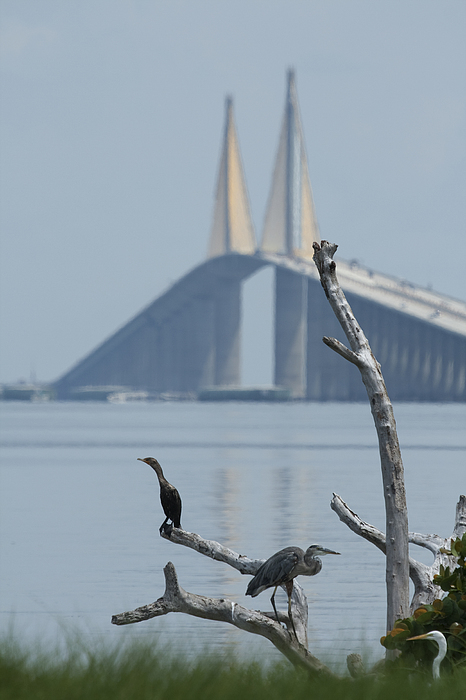 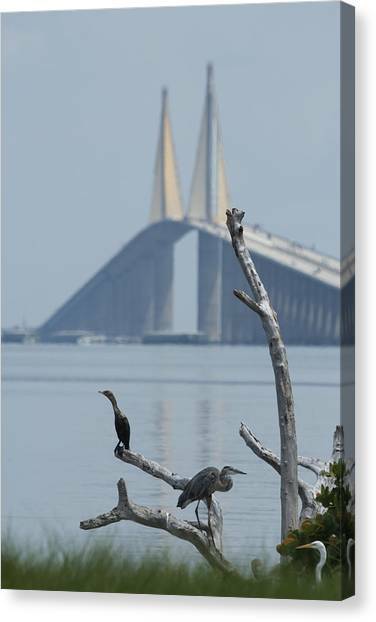 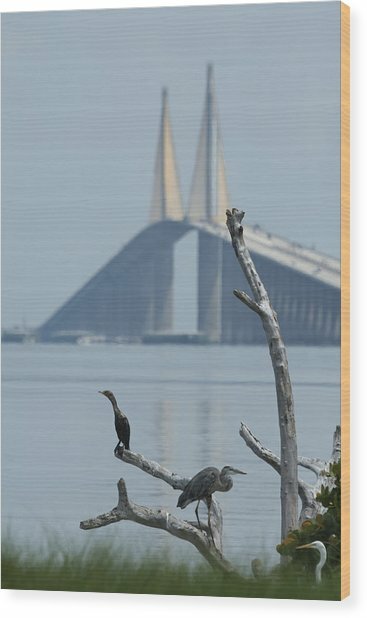 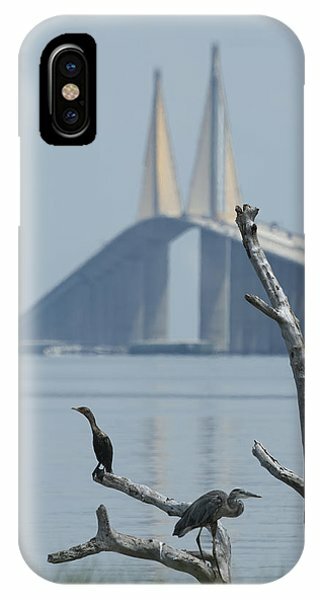 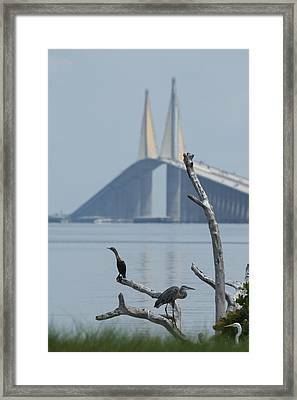 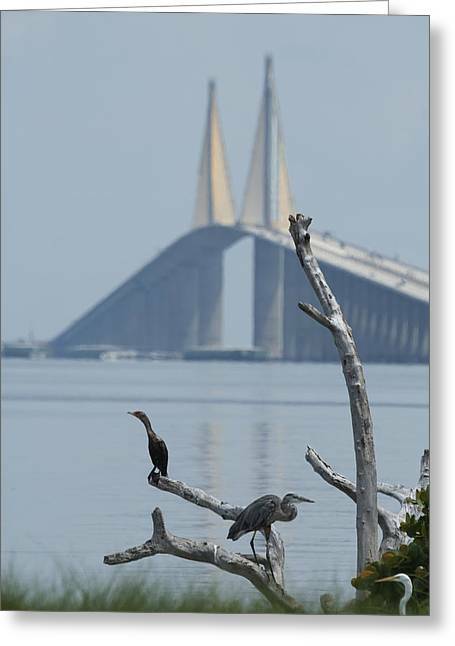 Water Birds On Tampa Bay is a photograph by Carl Purcell which was uploaded on July 15th, 2010. Water birds perch on a dead tree on the shores of Tampa Bay. 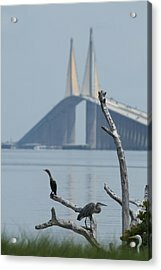 The Sunshine Bridge can be seen in the distance.